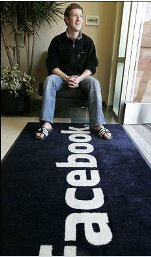 For the week ending March 13th, 2010, Facebook – for the first time ever – surpassed Google in hits on their site. According to HitWise, a traffic research firm, Facebook’s traffic surpassed Google’s search engine in weekly hits to become the most visited Web site in the U.S. for the first time. Facebook.com accounted for 7.07 percent of visits in the week ended March 13, topping Google.com’s 7.03 percent, New York-based Hitwise said in a March 15 blog post. Facebook almost tripled its visits from a year earlier, compared with 9 percent growth at Google, the most popular search engine.